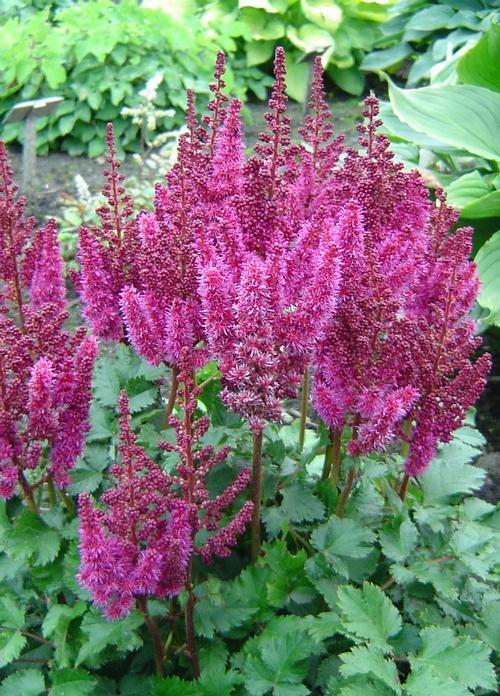 Mid, compact clumps of deep green fern-like foliage, sturdy upright stalks with fluffy lilac-purple flower plumes. Improved 'Pumila'. Can grow in full sun, in cooler regions.